I enjoyed a fabulous day out in Brixton with the one and only Mark Paulda, well-known travel photographer from Texas and his lovely friend Paola. 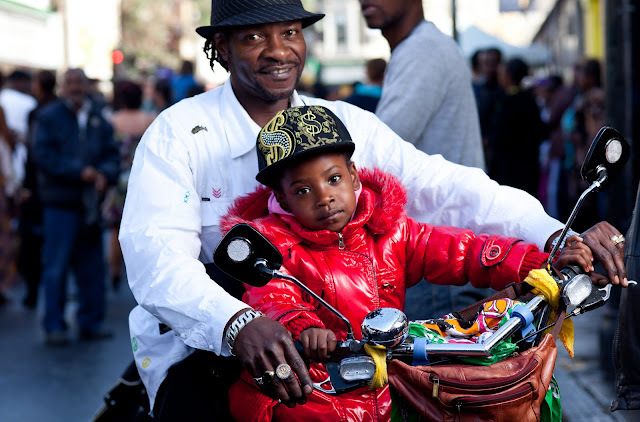 The Brixton Splash was on and the streets were filled with people keen to enjoy themselves. This lovely duo of a father with duaghter were cycling around on their fancy bike chatting to locals. I loved the special bond that they enjoyed and that red jacket really stood out in the crowd. The little one was so photogenic ready to strike a pose and work the light. Fantastic!